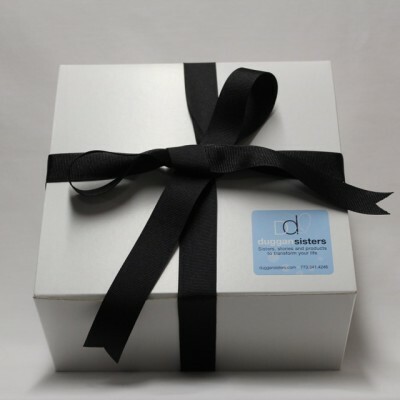 A collection of all your favorite Duggan Sisters® products! Give the gift of health and let us do the eco-friendly wrapping for you. Wrapped in a biodegradable compost bag and tied with a bannana leaf ribbon. The ultimate green gift. This six-piece gift set includes everything you need to get started with the full collection of our good LIFE solutions. Please select your preference of regular or extra strength deodorant. In addition to our full deodorant tool kit, this unique gift set is enhanced by an introduction to our home spa smartsoak and coconut soap. Plus a smartsoak® with a washup™ coconut soap and a pair exfoliating gloves!